There are plenty of places to be merry in Te Anau. The Black Dog Bar , attached to Fiordland Cinema on the Lane and pictured above, is a lovely modern bar with comfy seating and a log fire, perfect for a pre or post movie drink or get together, with a wide range of drinks including micro-brewery beers and special cocktails. It is well known by locals as the place to gather after work on a Friday. The Black Dog also has occasional music performances, usually of the acoustic variety. The Redcliff on Mokonui Street (opposite Lions Park) is a fabulous atmospheric bar, restaurant and venue with a great range of drinks that also hosts live gigs, with plenty of people managing to groove their stuff in a fairly small space. It has the words Redcliff Cafe painted on its roof but it's not really a cafe. It's a bar and restaurant with occasional dancing opportunities. There are two more traditional pubs, the Moose on the lakefront, and the Ranch, at the other end of the main street, which also host live music regularly and are big, lively venues. In Manapouri, the Lakeview Motor Inn has a friendly, lakefront bar. 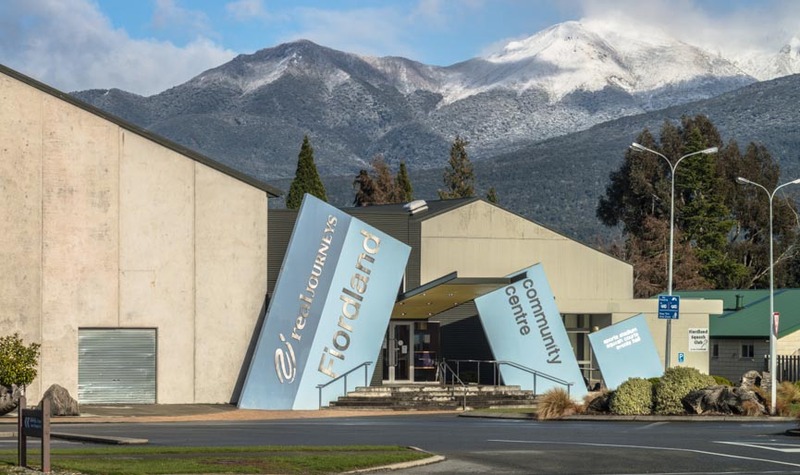 There are some great venues in Te Anau and Manpouri available for hire, including our recently-built Community Events Centre which is big enough to host national ballet troups, orchestras and big bands (and it regularly does). We also have intimate venues such as the Redcliff (see above). In between the two, there are plenty to choose from, including Te Anau Club, a friendly membership-based club with a large function room. There are also some top hotels with function rooms. The bars listed above also provide good venue opportunities. 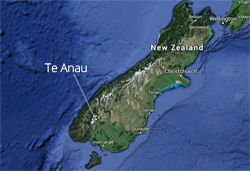 In between the two, there are plenty of venues to choose from, including Te Anau Club, a friendly membership-based club with a large function room. There are also some top hotels with function rooms. In Manapouri, the Manapouri Community Hall is available for hire. The stylish Black Dog bar, attached to Fiordland Cinema on The Lane, boasts an impressive local wine and beer list and cosy open fire to be enjoyed before and after movies. An asset to the township of Te Anau, this beautiful facility is available for hire by arrangement. Go to the cinema's Black Dog Bar page.